Baltimore Police say a rocket launcher was among the weapons turned in during a gun buyback event where 1,089 guns were turned in. Interim police Commissioner Gary Tuggle said they spent $163,000 so far buying back guns. There have been three such buybacks in recent weeks, the last of which took place from noon to 8 p.m. at Perkins Square Baptist Church. People looking to get paid for their old or new weapons showed up with everything from handguns to rocket launchers. 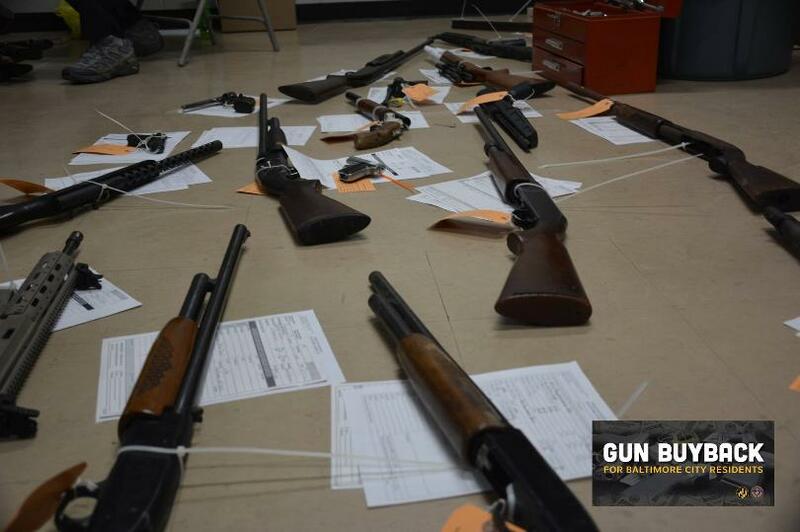 The buyback totaled 509 handguns, 273 rifles, 245 shotguns, and of course, one rocket launcher which the Commissioner said the city paid $500 for. Interestingly enough, the Baltimore Police contacted the military AND the Bureau of Alcohol, Tobacco, Firearms, and Explosives to try and trace the rocket launcher to its origin. I wonder if there is a policy of tracing firearms obtained at a buyback, it would certainly discourage citizens from selling weapons like rocket launchers to the city if they are going to find themselves in trouble. Mayor Catherine Pugh's spokesperson said that the city has budgeted $250,000 for the buyback and miscellaneous general expenses in the general fund budget to cover the costs. I wonder if the quarter million in taxpayers funds are being used to trace the rocket launchers origin? That would be ironic indeed. There are a lot of disagreements about the effectiveness of buybacks, which some see as a way to take guns off the street and others see it as an opportunity to get some quick cash for an old or broken guy they have lying around. Turning in a gun doesn't mean you no longer own any. Submissions are allegedly anonymous and the buybacks are even open to residents from outside the county. Commissioner Tuggle said most of the guns used in crimes across Baltimore are often not from this jurisdiction. "This is originally designed for city residents, however, we know that a number of guns we found, in a lot of the violence that happens in Baltimore, comes from the surrounding counties." Baltimore is making a hard push to take guns away from citizens. He even said that destroying guns that could be used in crimes or stolen by criminals is the city's top priority. Why would destroying guns that belong to law-abiding citizens help crime go down? This guy is clearly coming for the guns and it's buybacks like these where we get a glimpse into the true goal of Democrats and officials looking to disarm the citizens of America. There is where Tuggle reveals how anti-2nd Amendment he is and it is disturbing to know that he is in a position of authority as acting Baltimore Police Commissioner. "If they’re not in existence, they’re not in the home, they can’t be used, they can’t be stolen. They won’t contribute to our violence," Tuggle said. That statement tells me he only cares about one thing, taking away the guns. If you look at his last statement is shows his blatant disregard for the actual safety of the law-abiding, tax-paying citizens who won't be able to defend themselves from intruders when they do have guns that they obtained illegally from some other city just like Tuggle admits. So if the guns are mostly coming from other jurisdictions, why are you trying to take them from the people in your jurisdiction? I hope the people of Baltimore wake up and realize that the right to defend yourself is in the constitution and the constitution is the true law of the land. Don't voluntarily allow your rights to be trampled buy freely turning in your guns. There may be a time when that gun saves your life or the life of an innocent person or loved one.